(private dealer, Paris); (Adler & Conkright Fine Art, New York); purchased 12 October 2006 by NGA. Dickerman, Leah. 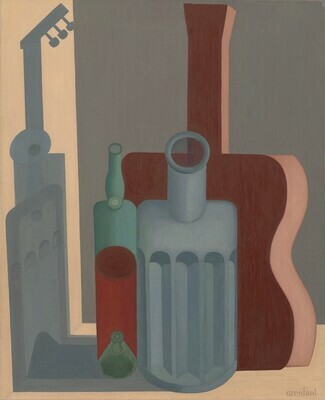 "Amédée Ozenfant, Still Life with Carafe, Bottle, and Guitar." National Gallery of Art Bulletin, no. 36 (Spring 2007): 17, repro.